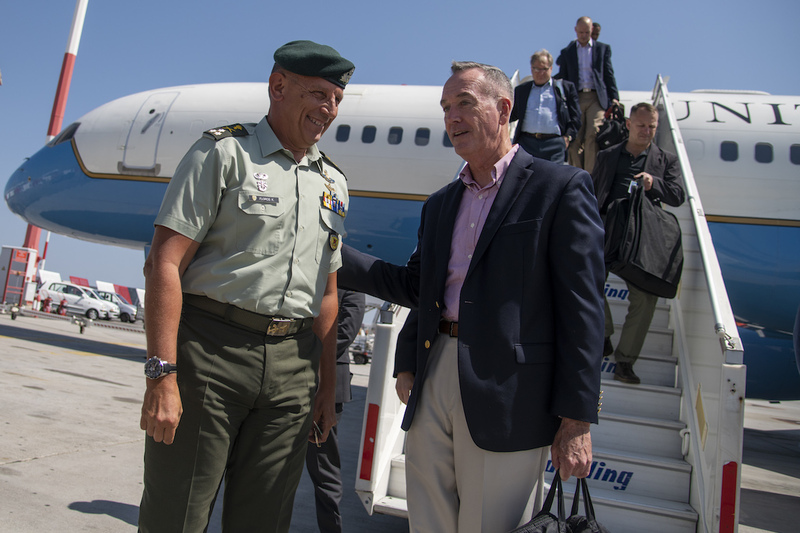 General Joseph Dunford, the highest ranking U.S. military officer, has arrived in Greece for a two-day visit, starting off a busy week of high-level contacts between the two countries that will culminate in Thessaloniki with the launch of the annual Trade Fair. Dunford is the chairman of the Joint Chiefs of Staff or representative of all branches of the U.S. military. In years past, such a visit to Greece by any high-ranking American official would have been followed by that official’s hop across the Aegean to neighboring Turkey. But not this time, as Dunford plans a highly visible visit– exclusively to Greece– for high-level meetings and discussions with his Greek counterparts. It was common U.S. practice of maintaining a status quo in the turbulent Aegean and prevent one nation from becoming “jealous” or “bothered” with U.S. activity in the other nation. It was America’s way of maintaining a delicate balance between two countries that have been on the brink of war several times in recent memory. “Such a trip to Greece without a stop in Turkey would have been unheard of in previous years as every administration before this one walked on egg shells to not upset the fragile balance between the two nations,” a former U.S. Ambassador to Greece told The Pappas Post who asked to remain anonymous since he is no longer in the diplomatic corps and not authorized to speak officially. Dunford’s visit will be followed by a visit by U.S. Commerce Secretary Wilbur Ross, who is scheduled to visit the annual Thessaloniki International Trade Fair, where the United States is the honored nation this year. Ross will be accompanied by Sen. Ron Johnson, who is chairman of the Senate Committee of Homeland Security and Subcommittee on European and Regional Security Cooperation.